Samsung Galaxy C9 Pro feature a 6-inch (1920×1080 pixels) Full HD AMOLED display powered by a 1.9 GHz Octa-Core Snapdragon 653 processor coupled with 6GB of RAM and 64GB of internal storage further expandable up to 256GB. On camera, it has a 16MP rear camera and 16MP front facing camera. Dual SIM Device runs on Android 6.0.1. Connectivity options include 4G LTE, Wi-Fi 802.11ac (2.4GHz and 5GHz), Bluetooth v 4.2, ANT+, USB-Type-C, NFC. Galaxy C9 Pro is Packed with a 4000mAh Battery. 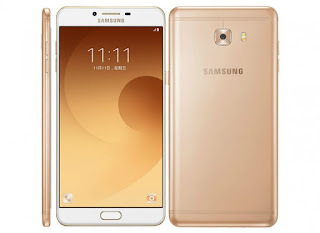 Samsung Galaxy C9 Pro comes in Black, Gold, and Rose Gold color Priced at 3,199 Yuan (₹31,407) in China India price expected to be below Rs 35,000. Galaxy C9 Pro to launch in Bangladesh, Cambodia, Myanmar, Nepal, Sri Lanka, Thailand, Malaysia, and Vietnam in the coming months. Duff to buy this for 33k, better to get a better One plus 3 for 29k, better phone all round.